This is one of those quotes that circulated when I was in high school, I think it was written on a bench somewhere, or carved into a desk. That’s not important, but the quote has always stayed with me. It’s a good quote for me. I work hard, and for someone who was not and is not “a natural” at many things, I think it stuck with me because it gave me hope. It’s something that still pops into my head often, especially when I’m doing yoga, for which I definitely have no natural aptitude. But I keep at it once a week because I think that one day maybe, just maybe, I’ll be able to reach my toes. So when a couple of weeks ago at a conference I saw Matthew Syed’s talk on The Myth of Talent and the Power of Practice, I was completely taken in. Syed was keynote speaker at a conference I attended for work on customer satisfaction scores and all that goes in to engineering better ones. While the content was useful, I found the main thing I took away from the day was justification of my long-held belief; Hard work beats talent, if talent doesn’t work hard. Check out Syed’s talk here. One of the most interesting points that he made in the talk I saw, and he touches on it less in the YouTube video I linked to, is his story of half of the top British table tennis players in the 1990’s, and he was one of them, all growing up on Silverdale Road in Reading. He says there was not something in the water in this random part of Reading that gave all the local kids magical talent in table tennis. But there was a good coach, and one of the only 24 hour table tennis clubs in the area, for which Silverdale Road residents were all given a key to, and there was not much else to do. Which subsequently meant, that this street of kids, got a lot of practice. And it is that practice that got them to the top. I already ticked this task off, when I went to the Women of the World Festival in March, and a friend has invited me to see Dr Wayne Dyer speak in London in October so it will be a year of inspiration. 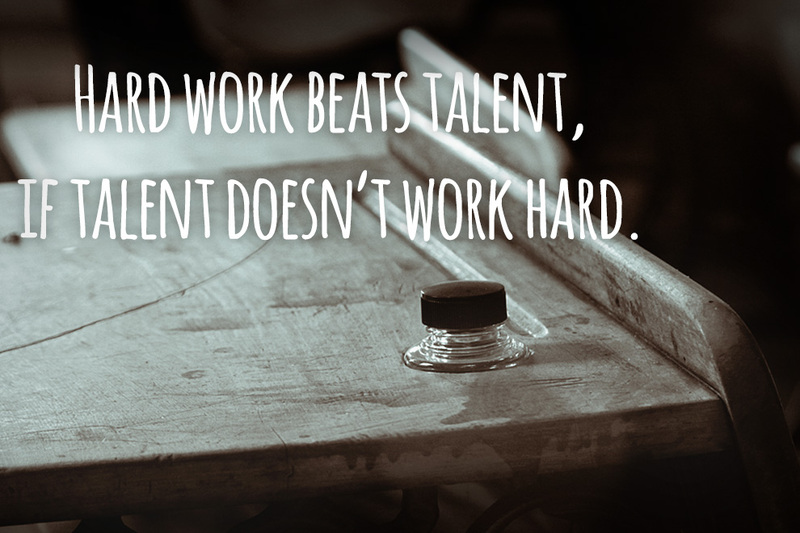 This entry was posted in 27 while 27..... and tagged challenges, hard work beats talent, if talent doesn't work hard, Matthew Syed, the myth of talent and the power of practice by andieinspired. Bookmark the permalink.